Modern industrial style kitchen in Park Hill Sheffield. In 2014/15 JS DECO had a chance to be part of a very exciting project managed by Urban Splash. The company specializes in regenerates decaying industrial warehouses, mills, Victorian terraced houses and other buildings. 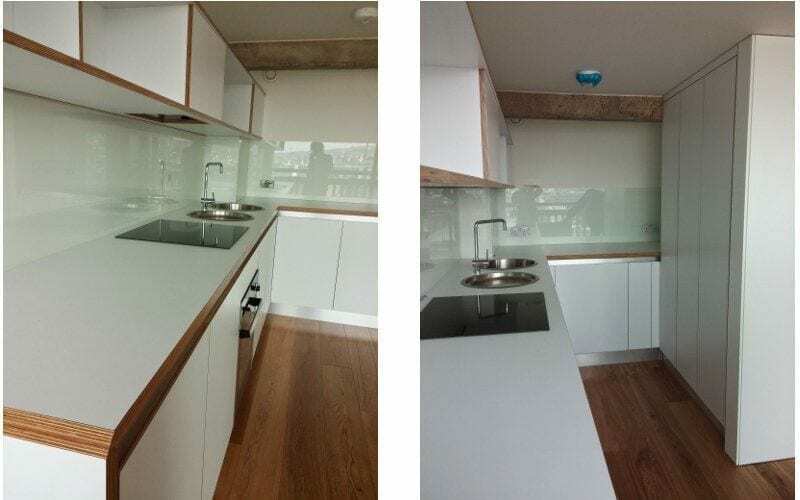 This time, it was a thorough renovation of Park Hill Estate in Sheffield. 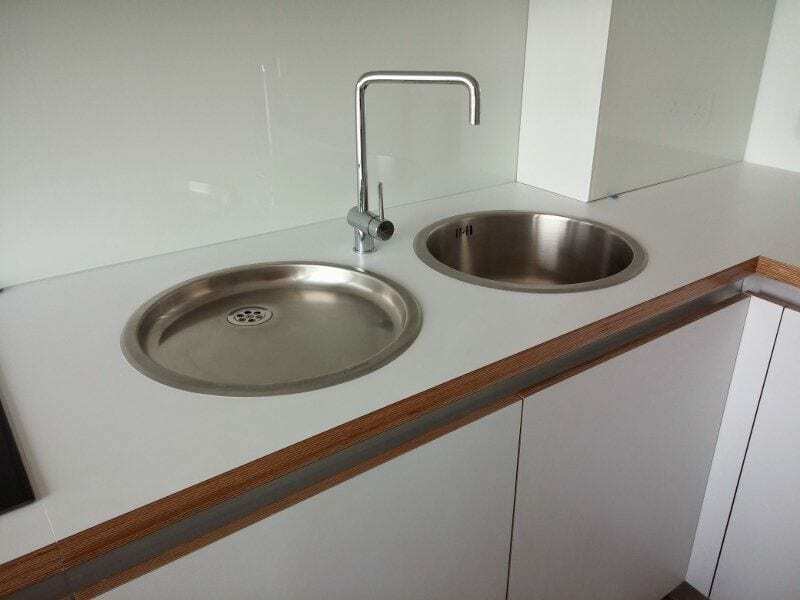 Our share of work was installing 30 kitchens supplied by Accent Kitchens which is a part of Arnold Laver group. The industrial style kitchen itself was an attractive modern combination of plywood laminate and aluminum. Handle less, modular clean and compact character suit perfectly to a raw and slightly industrial design of the whole interior. One of the interesting solutions was a drawer placed over the oven, which is much handier and ergonomic than usually placed under the oven. 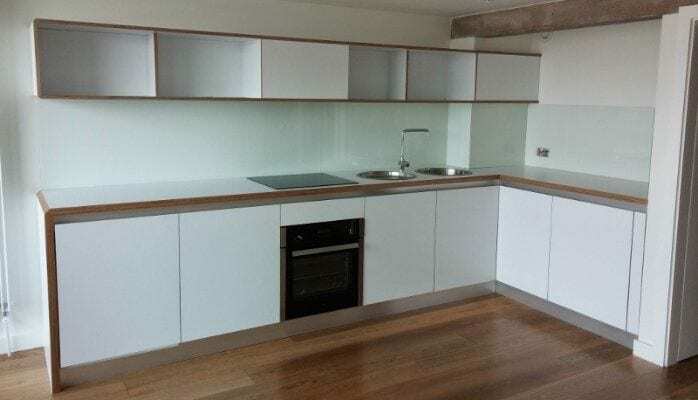 The other good idea was the worktop which was surrounding units, giving an effective visual impression, but also making it practical to maintain. 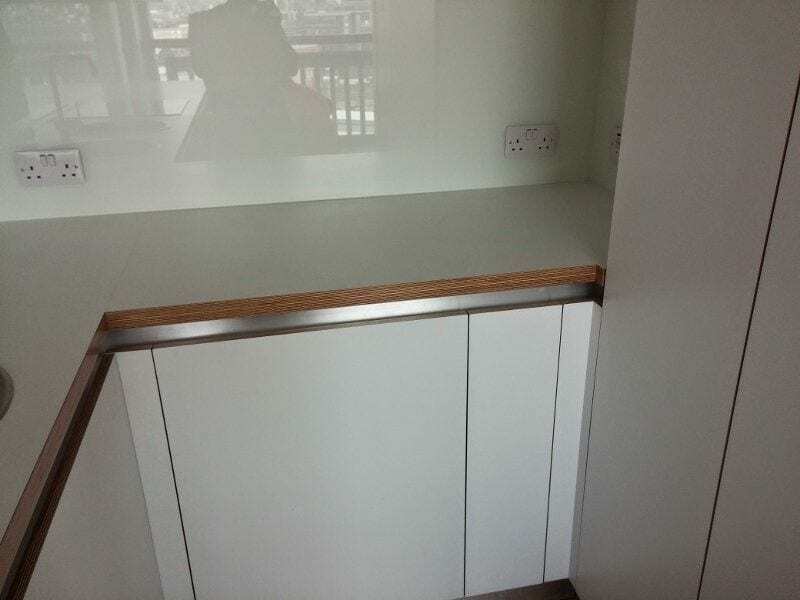 The whole kitchen was demanding from the fitting point of view because of aluminum profile placed between worktop and units, flush joints and compact character. All those aspects needed high accuracy, extra care, and effort to get right end effect. Newer PostBespoke corridor shoe cupboard.